Enrich your daily practice with the sounds of NAAD and find the root of your soul through chanting. Japji for the Aquarian Age App is a learning tool for your morning practice. It will help you recite Japji Sahib and the “Aquarian Sadhana” mantras with correct pronunciation. 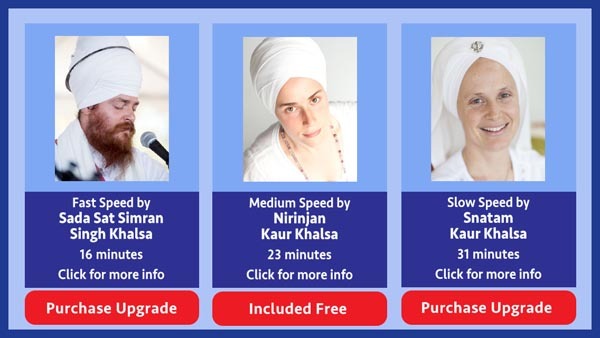 Sing along with Snatam Kaur, Nirinjan Kaur or Sada Sat Simran Singh In 3 speeds from slow to medium to fast.